Here is the 19th album from Overkill, the closest thing heavy metal has to an atomic clock. Every two years we get a new ten-tracker from the Jersey Boys, and while the albums are familiar to the point of comforting, they will never disappoint the true connoisseur of aggressive heavy metal. There are no real surprises here, but one thing these guys always know how to do is lay out an album, mixing high-speed ragers with groovy anthems, moody tunes and even upbeat punk influenced stuff. You get all of that here and more. The addition of former Shadows Fall drummer Jason Bittner has really upped the energy quotient. The drumming here is as hard and frantic as these guys have had in over 30 years in the biz. It’s no small thing to be this good on your 19th long-player. Looking forward to number 20 in 2021! A throbbing electronic beat makes you think this is going to be some industrial metal along the lines of Fear Factory or Ministry, but the guitar riffs start to creep in, and then at the one minute mark, hell is unleashed. Holy Moses, this is one of the fastest Overkill songs ever! You can hear the extra power drummer Bittner brings to the game right away. It’s good to hear Bobby Blitz as sharp and vindictive on vocals as ever. He is one metal singer that can never be mistaken for anybody else. First tracks on Overkill albums are always pretty hot and heavy, but this is one of the most intense. The pace drops just a hair here, but this is still a pretty fast and heavy scorcher, with a bit more emphasis on an anthemic chorus. There’s a great hammering mid-section with some gang vocals and pretty slamming guitar solos. This is a pure Overkill cruncher here! This slows down quite a bit with an almost bluesy grind. The dial is turned up, and this becomes a chugging anthem. Blitz really outdoes himself here with a heartfelt vocal performance including one incredibly hair-raising scream at the end. This is definitely one of the more groove oriented tracks here. It’s heads-down and full-speed-ahead with this thrash monster, driven by D.D. Verni’s monstrous bass sound. There’s a really strange mellow break in the middle with almost campy angelic vocals, but don’t panic, that soon gives away to a ripping solo and more rifferama. 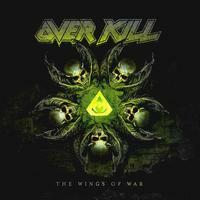 Every Overkill album has its more moody number, and this fills the bill for The Wings of War. 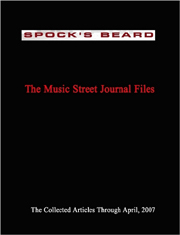 It starts in semi-balladic style with a very nice guitar solo from Dave Linsk and then gradually picks up before going into another bluesy groove that’s still pretty heavy. I’m blown away by how much Blitz stretches himself vocally on this album, handling some very complex vocal lines and a lot of varying tones. This is a fairly long song by Overkill standards and very complex, with a lot of speeds and changes in time. This is not an easy tune at all! This is about as close to the prototype Overkill song as you can get. With some acts, that could be considered a putdown, but not with these guys. This is crunchy and hooky as hell, with more awesome drumming from Jason Bittner. This is not a blow away classic but just an enjoyable tune to headbang to. This is another one of the moodier and more atmospheric songs, driven by Verni’s bass. Most Overkill songs sounds like nothing but Overkill, but this one reminds me a bit of the more recent Metallica material. It’s not a ballad, but it never takes off, and some of the moaning vocal work on the chorus is pretty cheesy. This is the most average tune on the disc. Once this gets going, it really cooks. A good combination of both the thrash and groove aspects of the band, this one grew on me after a couple of listens. You can be sure that an Overkill album will open with a screaming thrasher and will close with one, too. Another all out thrashing assault that will peel the paint off your walls, it’s another “typical” Overkill song but brilliantly so. The vocal lines on the chorus are pretty cool, too. You will exit The Wings of War the same way you entered it...with a sore neck.